We all are want of traffic in our blog or website for better of our earning possibility or getting a rank in search engine. But can anyone work enough for getting traffic? Maybe the most possibly answer is “No”. We all know getting a smart amount of constant traffics it not an easy task for bloggers. At the same time you need to do SEO, writing good and unique contents and many more. After doing that you not satisfy about your current traffics. You want more traffic but how? Here is an easiest and simple way you can generate a smart amount of traffic for your blog or website without doing anything. But it’s not at all the way for getting traffic, it just a normal way like introducing your blog on bookmarking sites. AddToAny: AddToAny is the top and most usable bookmarking gadget in the blogging world. It can be seen in many more top blogs. 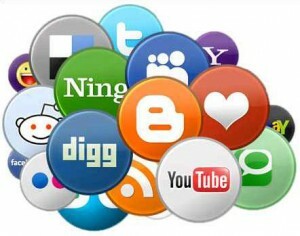 Beside of bookmarking by it, you can get the chance with connecting Facebook, Twitter, Digg and some others sites. AddToSocial: AddToSocial not so much familiar bookmarking gadget at all. But it has an extra benefit instead of other, it has listed the top and popular bookmarking network which you can understand about you site where do you get the best benefit of bookmarking. OnlyWire: OnlyWire has an advantage of bookmarking your site by one click to all of site listed. Beside, it has an extension opportunity of Firefox, IE and Google Chrome. By using the extension you can bookmark easily. AddThis: No doubt AddThis is the number one bookmarking gadget. It has the large number of bookmarking sites listed. Beside bookmark you can easily send mail, save as pdf and also get the printed version of these posts. ShareThis: it works as like as AddThis. It shows you the number of share and mail of each post into different site.